Our home is a welcoming and spacious home set over 3 floors, each having their choice of sitting rooms and spacious dining area and furnished for maximum comfort. 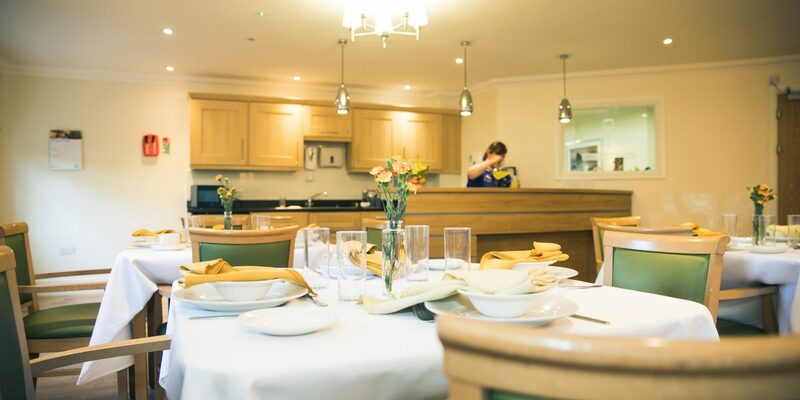 Our philosophy at James Nugent Court is to provide an excellent standard of care in pleasant surroundings. We care for the ‘whole’ person which includes meeting their physical, emotional and spiritual needs, respecting privacy and personal dignity and encouraging our residents to be as independent as possible. 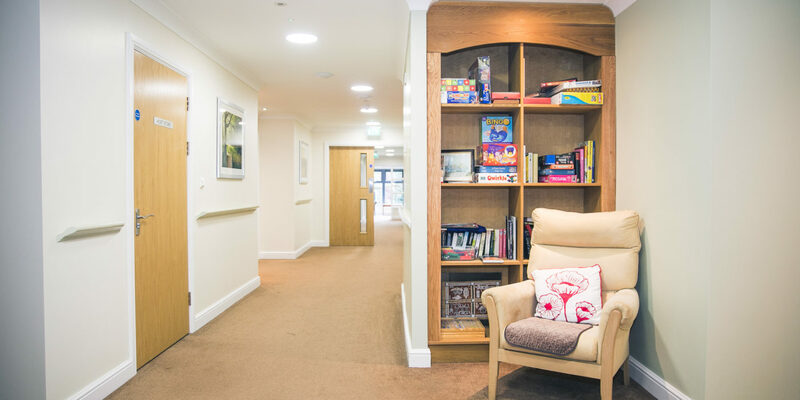 James Nugent Court residential care home is a place where everyone feels at home, and can relax, enjoy the community, take part in stimulating activities and meet new friends. The home’s caring team has created a family atmosphere, encouraging everyone to eat and celebrate special occasions together. Residents are invited to decorate their rooms with small items of their own furniture and treasured belongings so that it feels just like home. 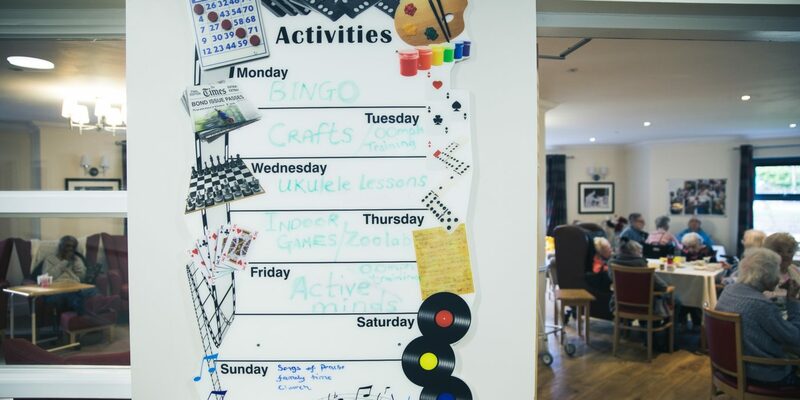 Facilities include the popular on-site café, a great place for a catch up and cake, state of the art hairdressers, perfect for a bit of pampering, the enclosed garden, for relaxing and socialising and we also offer daily activities and entertainment. Daily life is thoughtfully designed to support mind, body and soul. 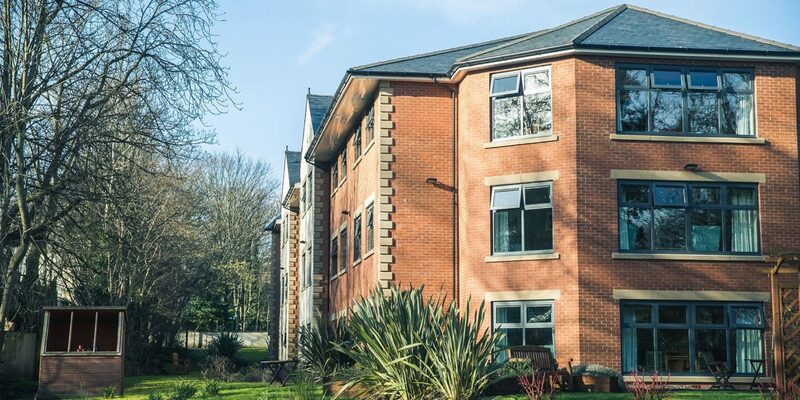 James Nugent Court is a modern-purpose built home close to many local amenities including Sefton Park. The home offers the highest quality of personalised care in a contemporary and relaxed setting at an affordable price for all. 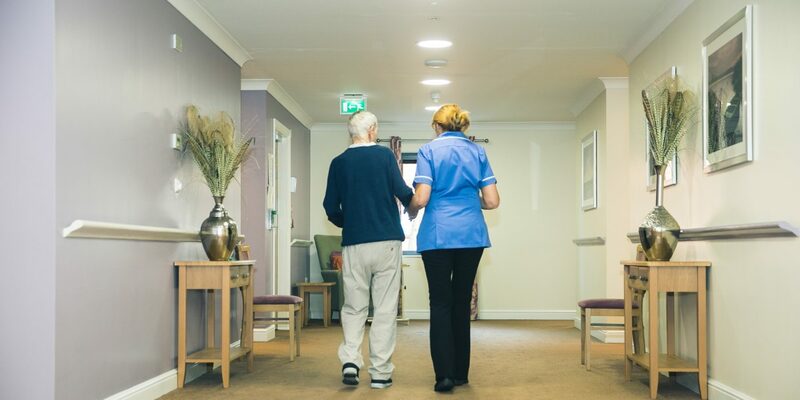 Our professional, highly trained staff are dedicated carers who will take the time to listen and get to know the new residents at the home enabling them to provide individualised care in an environment that promotes personal choice and independence. ‘No words can ever thank everyone at James Nugent Court for the care my dad was given in nearly 2 years. The love, care and understanding was such a comfort to us knowing my dad was with people who had respect for him and his complex needs. Each person gave unique individual care and my dad thought the world of them all. The family-friendly atmosphere is lovely and made us feel at ease. My dad’s end of life care was so personal, professional and respectful we could not fault anything. The staff are fantastic. Every member of staff from care staff, kitchen staff, cleaning, laundry, district nurses, everyone is friendly and it makes a nice atmosphere. Dementia care is outstanding and all individual are met. Thank you, everyone, from the bottom of our hearts we will never forget the love you gave. ‘My dad was here for only two months and the care that he, and we his family received, was outstanding. It really made dad’s last few months peaceful and happy. The staff went out of their way to make him feel loved, safe, valued, and being there, truly felt like being within a caring family. In dad’s last few weeks they could not have done more to look after him and his family, letting us stay with him all the time and keeping us all going with drinks, food and emotional support. We will be eternally grateful for the gift of love so generously given. Thank you.